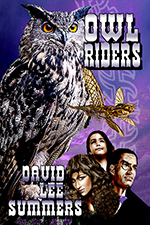 My name is David Lee Summers and I'm an author of speculative fiction. Sometimes I imagine possible futures. Sometimes I tell stories about alternate pasts. Other times I peer into the shadows of the present. 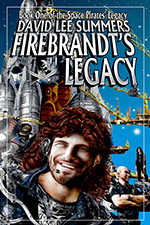 Learn about my writing by clicking one of my recent releases or the tabs above. Whatever genre you prefer, my goal is to take you on a thrilling ride. In addition to writing, I'm the editorial director of Hadrosaur Productions, publisher of Tales of the Talisman Magazine. When I'm not writing and editing, I'm an astronomer who operates telescopes at Kitt Peak National Observatory. You can get the latest news and	hang out with me online at my Web Journal. Thanks for dropping by and enjoy your stay!